Cairo is the capital of the Arab Republic of Egypt and the largest and most important city of all, and is the largest Arab city in terms of population and area. Cairo is one of the most culturally diverse cities. Cairo is located on the Nile river in northern Egypt, making it the ideal destination for brides to celebrate their wedding. 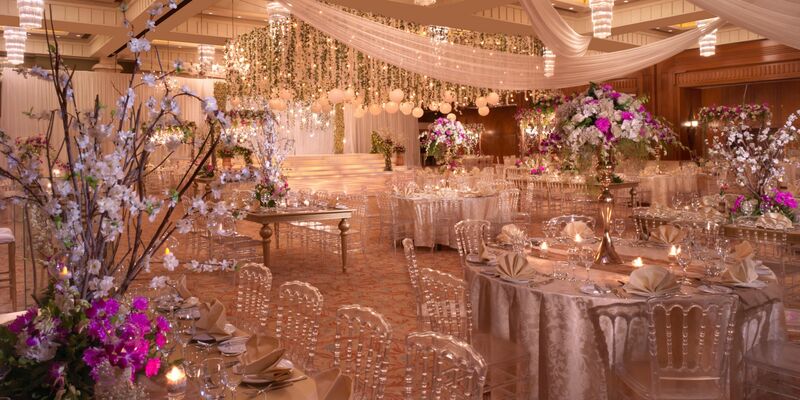 Hotels in Cairo include different wedding halls that suit the needs of brides. 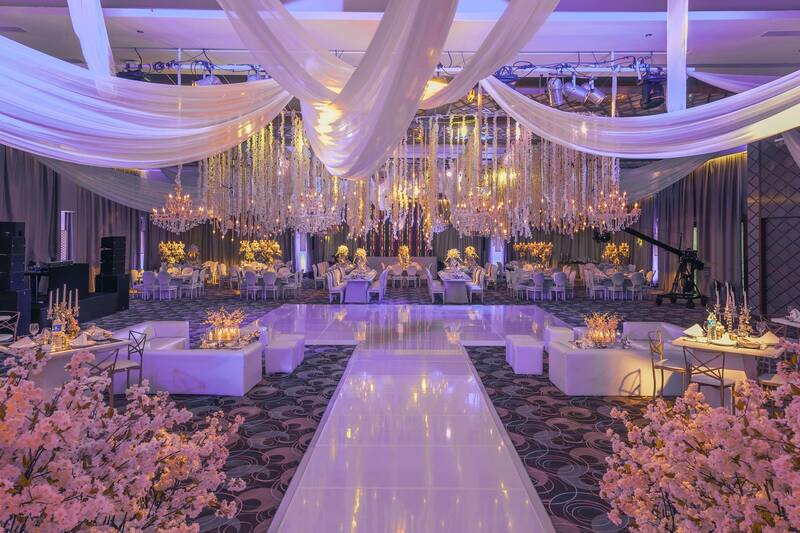 In addition, the hotels in Cairo Egypt also offer some of the largest wedding halls in Egypt, in particular and in the Middle East in general, which are used for conferences, weddings and special events. 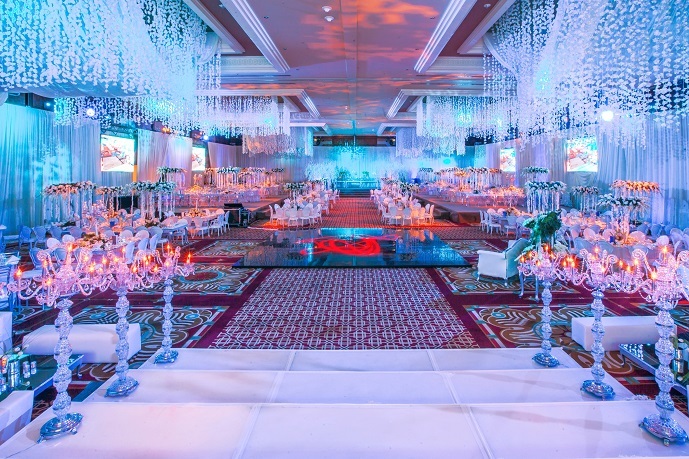 If you want to celebrate your wedding at a hotel in Cairo and looking for the largest wedding venues in Cairo to accommodate your wedding guests, we are sharing with you a list of the largest wedding halls in Cairo. Whether you wish to celebrate your wedding with a close circle of family and friends or with a larger number of joyful well-wishers, Grand Nile Tower understands that with so many personal details to look after, you want to have as few hassles as possible when planning your big day. It is for this reason that Grand Nile Tower's skilled wedding planners are always available to discuss your detailed wedding requirements. Its fantastic Nile views, elegant, shimmering ballrooms, magnificent table settings, fresh flowers and sumptuous celebratory menus are at your disposal to make your wedding the event of your dreams. 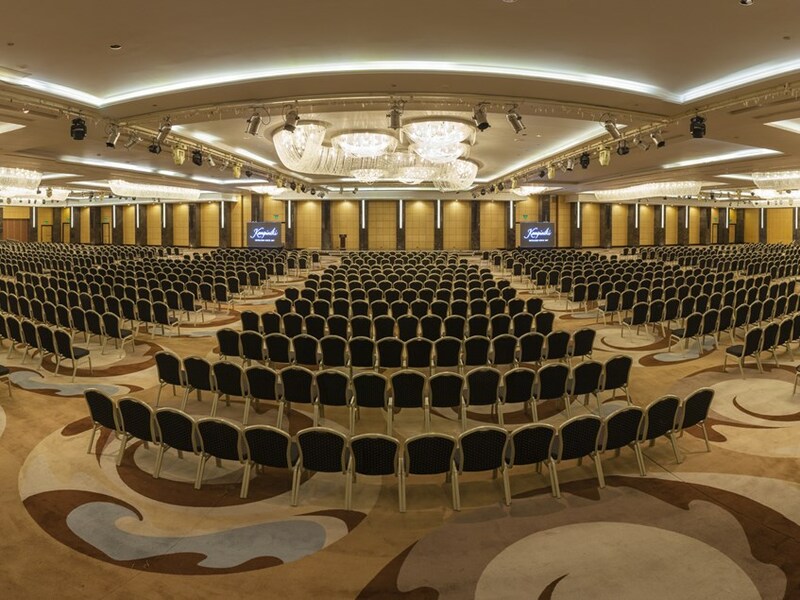 Farhaty Ballroom: which can accommodate up to 800 guests. King Tut Ballroom: which can accommodate up to 180 guests. Laylaty Ballroom: which can accommodate up to 220 guests. A haven of tranquillity in the heart of New Cairo. Offering a range of palatial services, the hotel features the finest rooms coupled with the highest levels of service and is an ideal base from which to explore the amazing city of Cairo. he most spacious ballroom in Egypt, the Excelsior, is on hand to make every bride’s dream come true during her fairy-tale wedding, and despite being an impressive 3,042sq m, the ballroom is easily divisible into three sections, therefore also accommodating smaller weddings. Set out your memories of a lifetime from your own bridal suite and spend the entire morning with your bridesmaids, until you put on your dress, make your final touches, and embark on a new chapter of your life! Ritz-Carlton Hotel is distinguished for adding modern touches inspired by an elegant past. 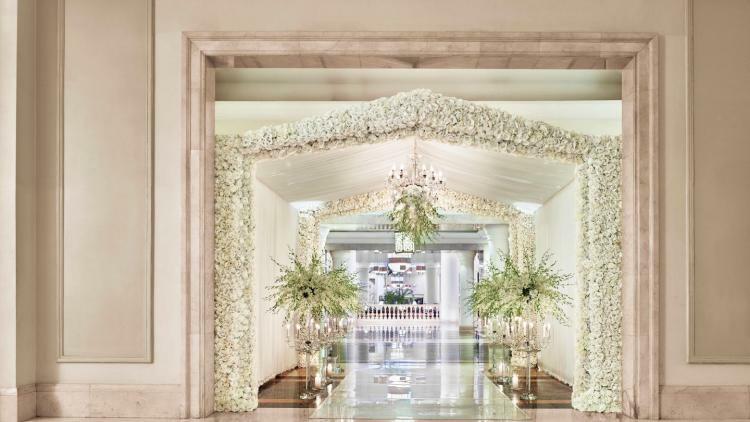 The wedding venues at Ritz Carlton Cairo can host any celebration, from bridal showers to farewell brunches, and include downtown Cairo’s largest ballroom, which can host a banquet for more than 1,000 wedding guests. The hotel’s view of the Egyptian Museum is the backdrop for outdoor venues, where couples can make their grand entrance under the stars. Alf Leila Wa Leila: Cairo's most popular wedding ballroom, the who’s who of Egypt has celebrated their nuptials over the past half-century at the hotel’s magnificently restored Alf Leila Wa Leila ballroom. 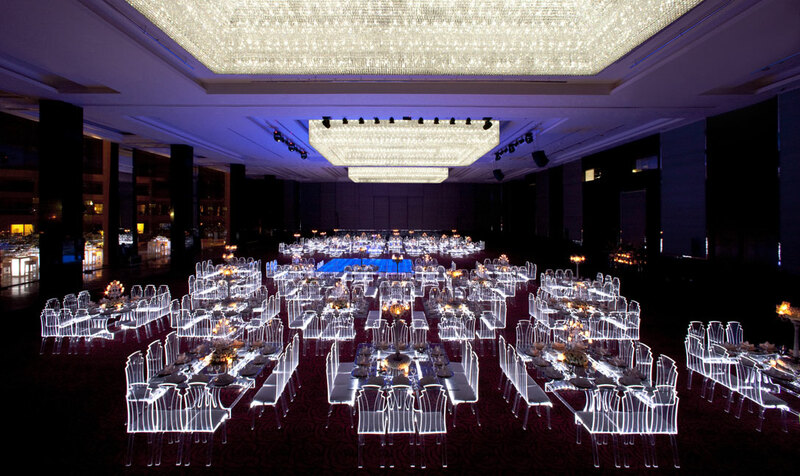 The ballroom features 924 square meters of banquet space and can accommodate up to 600 guests. For smaller celebrations, it can be divided into 3 rooms. 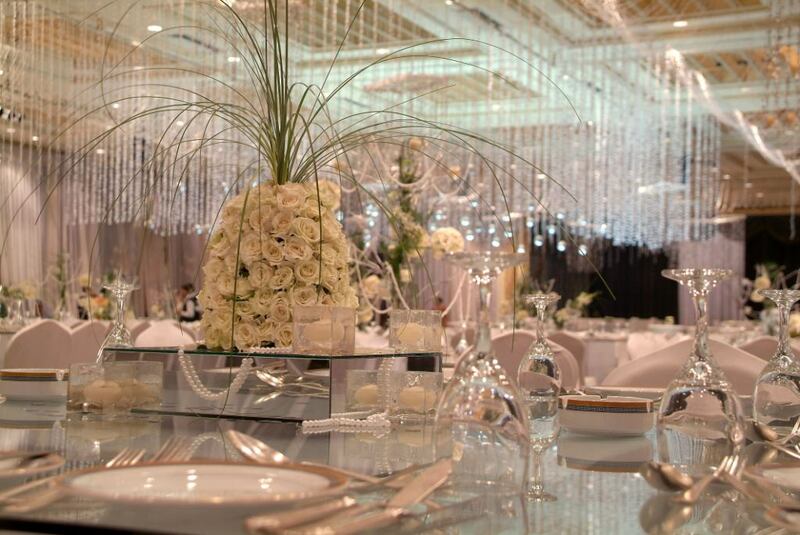 Al Qahira: From the dramatic fountain at its dedicated entrance to its spacious foyers, exquisite chandeliers, upholstered walls and unique lighting sconces, the signature Al Qahira Ballroom is the essence of elegance on a grand scale. Al Qahira is the largest ballroom in Downtown Cairo featuring 1,700 square meters and can accommodate up to 1200 guests. For smaller celebrations, it can be divided into 5 rooms. Garden City: This outdoor wedding venue is simply a one of a kind venue in Downtown Cairo as it overlooks exclusively at the Egyptian museum. The lavish gardens are designed to create an ultimate romantic wedding set up that can easily accommodate up to 1,000 guests. InterContinental Cairo Citystars offers luxury amid lush gardens in the buzzing hub of Citystars Heliopolis, next to Stars Centre Mall. 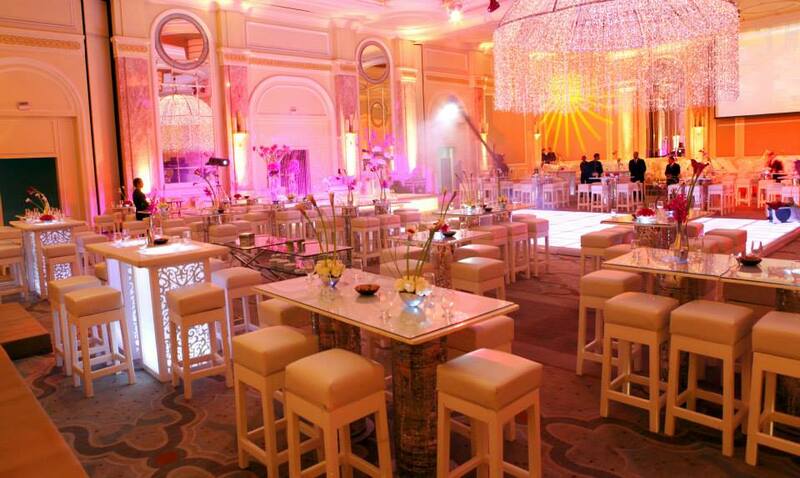 Al Saraya Ballroom can accommodate 1800 wedding guests seated in banquet style. The bride and groom can descend the grand staircase of the hotel and host a spectacular reception in one of Egypt's largest ballrooms. Standing on the site of the historic Semiramis hotel, guests can enjoy modern luxury on the River Nile with the Nile Terrace offering stunning views of the sunset over the Nile. Located in the heart of the city center this hotel offers you many ballrooms that suit your wedding. Cleopatra: which can accommodate up to 1170 guests. Teeba: which can accommodate up to 280 guests. Nefertiti: which can accommodate up to 90 guests. Babylon: which can accommodate up to 130 guests. Fairmont Nile City luxury hotel in Cairo offers a delightful series of offers. Equipped with the most advanced design and technology to serve you at your wedding. With sweeping panoramas of the Nile River, and views of the Pyramids in the distance, Cairo’s natural beauty and ancient history are always in sight from your luxury accommodations in the luxury Cairo hotel. Wedding specialists and valued partners offer the guest the highest level of service to create the day of your dreams. Whether your style is softly romantic, trend-setting modern or show-stopping elegance, Fairmont Nile City is there for help. Whether you are planning for a company meeting, off-site retreat, product showcase or a wedding, in the heart of the city or by the breezy seaside, Dusit offers a plethora of venues perfect for events of any scale. Add to that unparalleled values from complimentary suite upgrades to customized event webpage, bonus rewards, signature amenities and dedicated Meeting Concierge service, you’ll be glad with your choice at Dusit. Dusit Thani Lake View Cairo offers the Lakeview Ballroom and the Dusit Ballroom, ideal venues for large, upscale events with matchless views of hotel’s lakes and greenery. The 5 star Westin Cairo Golf Resort & Spa, has a superb location on a 27-hole championship golf course in Cairo's quiet and prestigious Katameya Dunes complex. 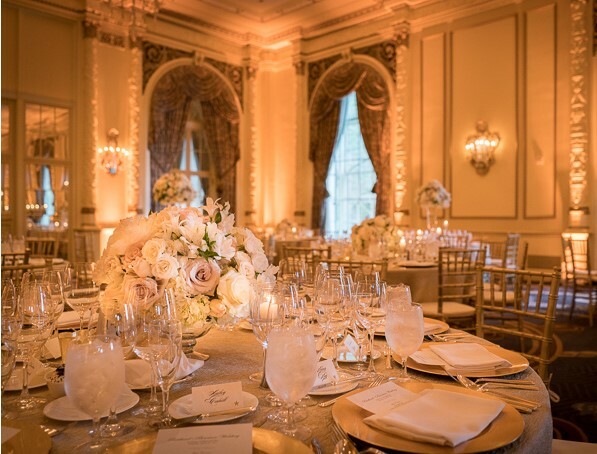 The grand ballroom with its stunning golf views is the perfect place for an unforgettable experience of your wedding. The hall is 6,458 square feet and can accommodates up to 700 guests in a reception style and 450 guests in banquet style. The luxury JW Marriott Hotel Cairo offers a truly immersive experience, with five-star accommodation, award-winning service and a prime location in the city's Heliopolis district. Large weddings are perfectly suited for the Tutankhamun venue while Cheops banquet hall is ideal for smaller events. 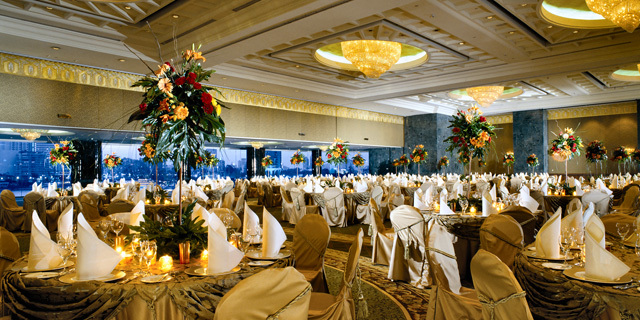 Tutankhamun ballroom can accommodate 2,000 guests for a reception and 1000 guests for a seated banquet style wedding. Luxury and convenience blend seamlessly at Renaissance Cairo Mirage City Hotel. You'll find us ideally situated near Heliopolis, in the Mirage City compound; New Cairo's thriving business and entertainment district is just outside our door. Those planning events in Heliopolis will appreciate our flexible function rooms, including the luxury Baron Ballroom; Host a more intimate wedding celebration in the Mirage Ballroom, which can seat up to 120 guests or in other stylish and versatile venues including the Baron Ballroom which can accommodate 580 guests for a banquet.